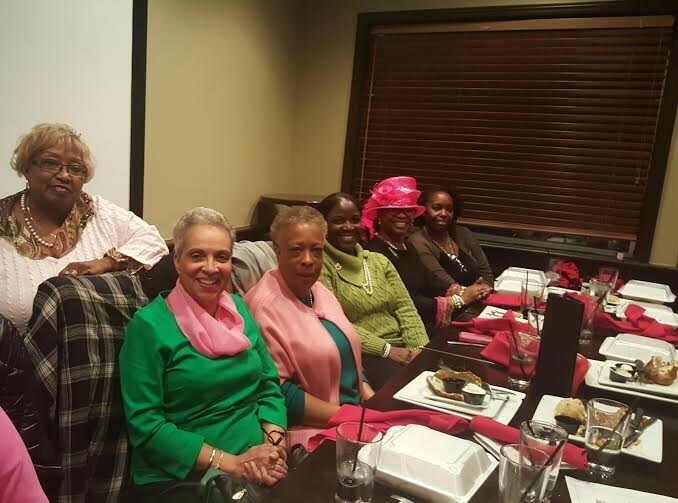 To celebrate the 2nd annual Sisterly Relations Day on the founding day of the Sorority, a total of 24 chapter members met at a Woodstone Grill in Belleville to celebrate the great sisterhood established 108 years ago. 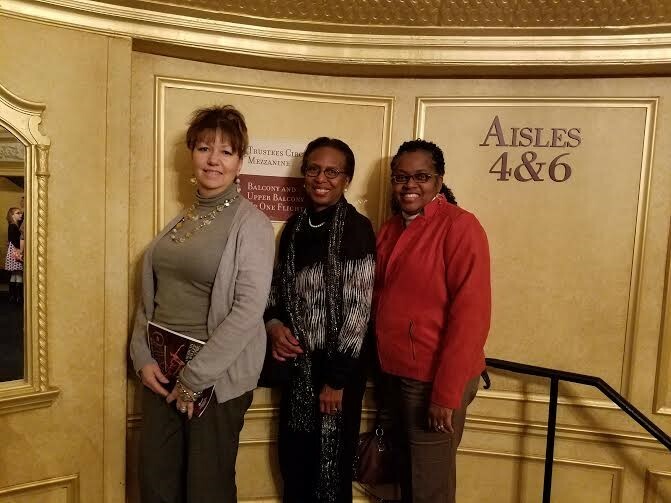 Members came together to enjoy a stunning performance of American Ballet Theater’s rendition of Sleeping Beauty with recently named Principal Dancer Misty Copeland. 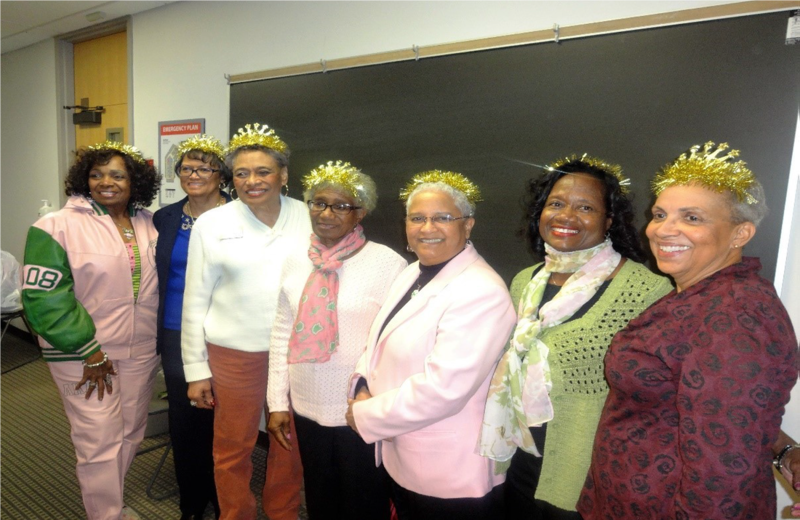 Celebrating our Legacies at chapter meeting by honoring them with extended warm regards and appreciation for their many years of dedicated service to the chapter and Alpha Kappa Alpha Sorority, Inc.
Chapter members participated in the AACM African American Cultural & Historical Museum of Washtenaw County's Underground Railroad Tour. 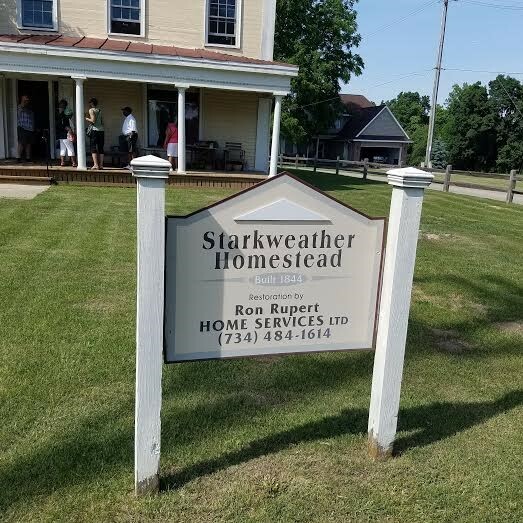 Members traveled the Michigan Underground Railroad Tour, with routes that run-away slaves followed and were maintained by Abolitionists to reach free territory. Stations provided shelter along the route and were about 16 miles apart. Pictured right, one of the last stops that was visited, the original home of the Starkweathers, rumored abolitionists. With the help of the McCoy’s (their black neighbors) it is believed that they helped over 1000 fugitives by hiding them in a barn in the back of this house. The “Real McCoy” deemed from Elijah McCoy who invented the continuous oiling tool for steam machines. Elijah was the son of the McCoy’s who lived behind Starkweather estate. Delta Psi Omega Movie Night! 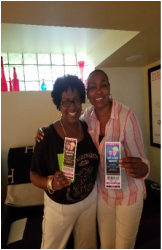 Chapter members were greeted with Delta Psi Omega Movie tickets, Garrets popcorn, and concession like snacks, pizza and hot dogs. After a fun but challenging game of movie trivia won by Catrina, members enjoyed watching the movie Joy with Jennifer Lawson, Bradly Cooper and Robert De Niro.